Boring? Never at CAS(E) this Sketch! Today we start a new challenge at CAS(E) this Sketch and this week our sketch is from Karolyn, I can’t wait to see what you create! And here’s the rest of the team! 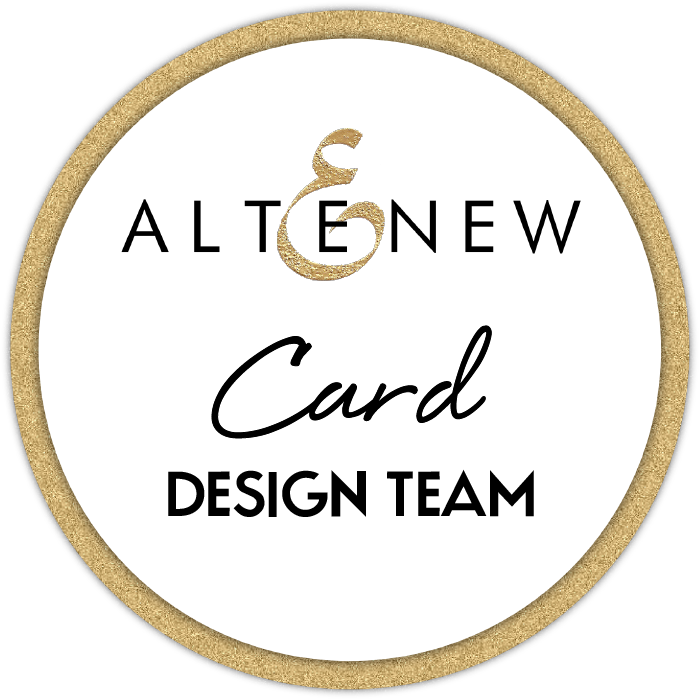 We’d absolutely love you to join us, all you need to do is create a clean & simple (CAS) card using the sketch and add it to the link at the CTS blog You can find all the deets HERE. Thanks so much for stopping by. Other Supplies: Prismacolor Pencils – Process Red. Kindyglitz – Crystalina. Memento Ink – Dandelion. < Previous Stamping & Embossing at Topical Tuesdays! Next > Golden Anniversary at AnnaBelle Stamps! 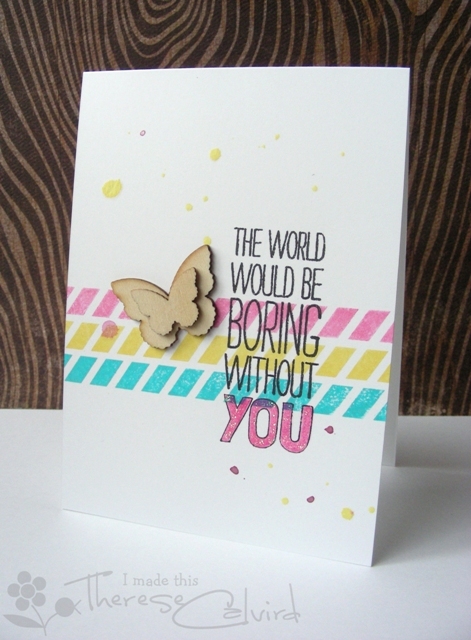 I love how you played with the sketch…such pretty colors and your butterflies are perfect! Fabulous colors – LOVE the stripes and the splatter – definitely NOT boring!! Great card. Never boring. Great sentiment. TFS. Bright and fun! Love the added spatter and the colors (especially in the sentiment). really pretty…good splatter placement impresses me every time! Love the splatters and that awesome sentiment. Nicely done.